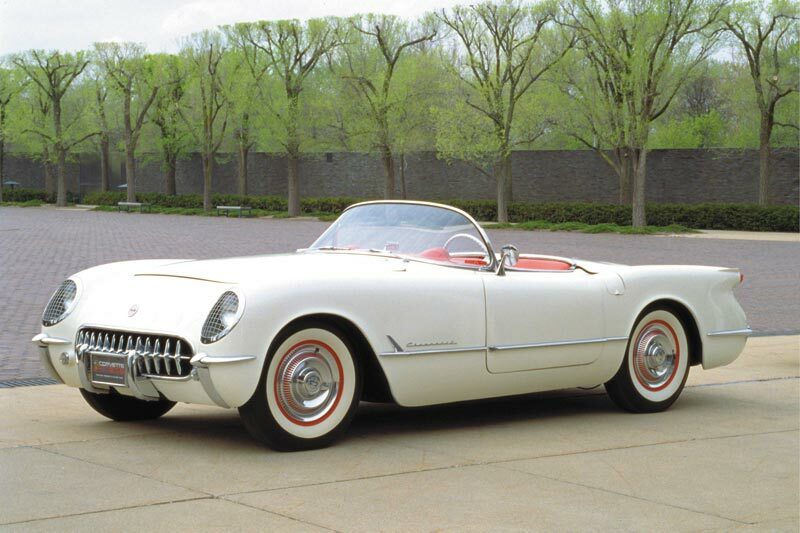 As introduced in 1953, the Corvette was mostly a thrown together experiment. 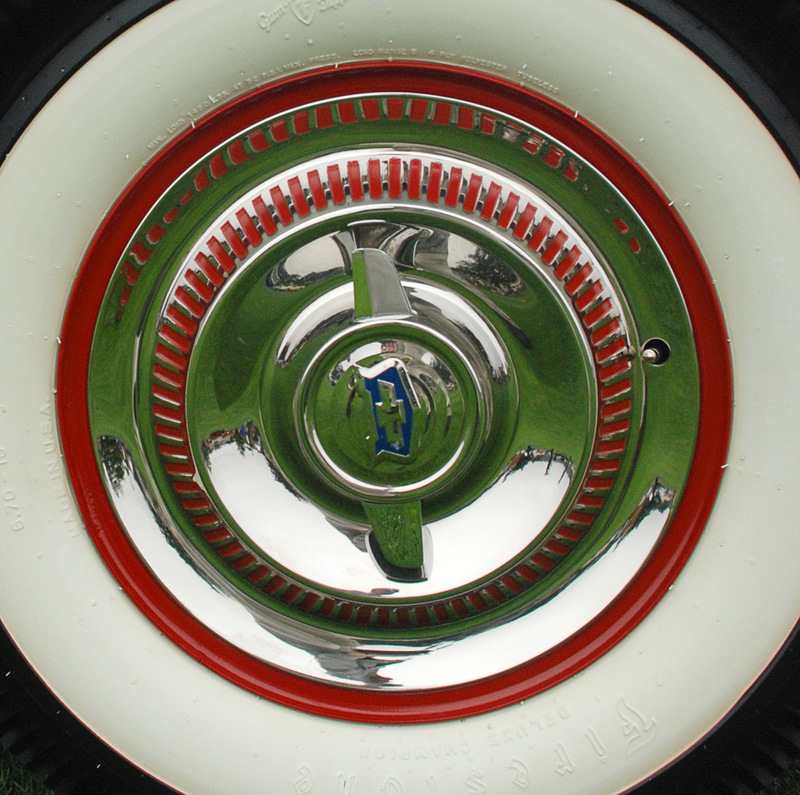 Production was limited to 300 units total, so sales of the entirely new model was not a problem. 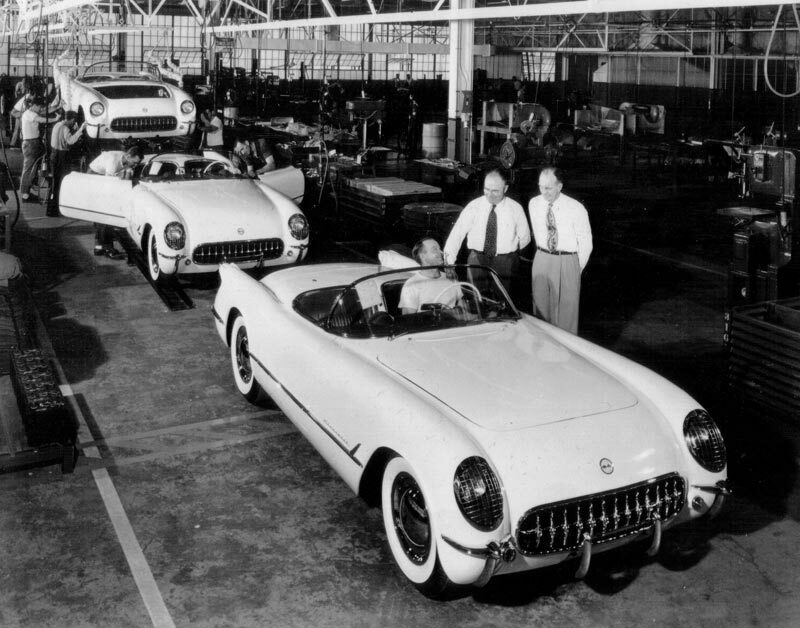 Right: The first Corvette reaches the end of the assembly line on June 30, 1953. The entire 1953 production took place in the back of a customer delivery garage in Flint Michigan. The first two were engineering test cars and according to official records, were destroyed. 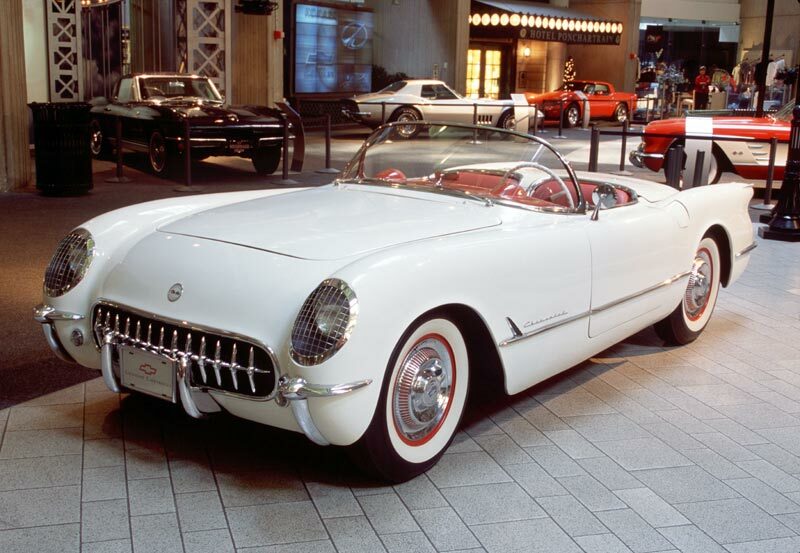 Of the first 300 Corvettes, approximately 225 are known to exist today. 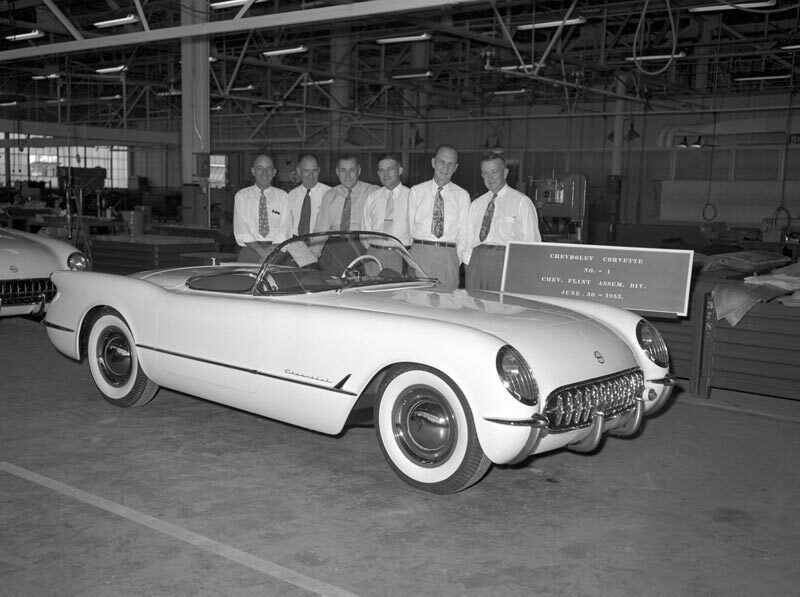 The first production Corvette was finished on June 30, 1953, which is considered to be the birthday of the Corvette. 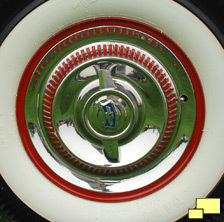 Notice the Chevrolet Bel Air wheel covers. 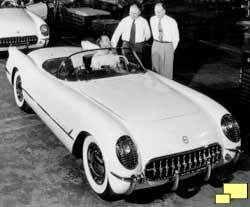 According to GM, they were supplied on the first 25 Corvettes. Photo on the right is of the 13th Corvette produced. The remaining production was equipped with the faux knock-off style (below). 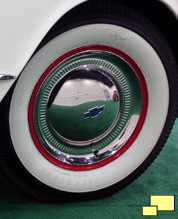 All 1953 Corvettes were Polo White with a red interior and a black canvas top. There were two options offered: a signal seeking AM radio ($145.15) and a heater ($91.40). 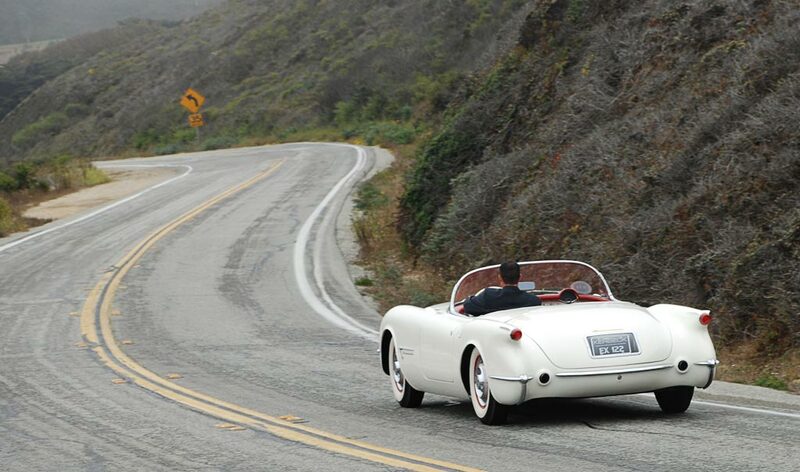 Although listed as options, all 1953 Corvettes were equipped with both items. 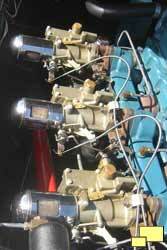 The base price was $3,498.00, including the federal excise tax and $248.00 for shipping and handling. The radio had an interesting feature: since fiberglass is electrically inert, the antenna was simply incorporated in the trunk lid. This would not be possible with a conventional steel body. 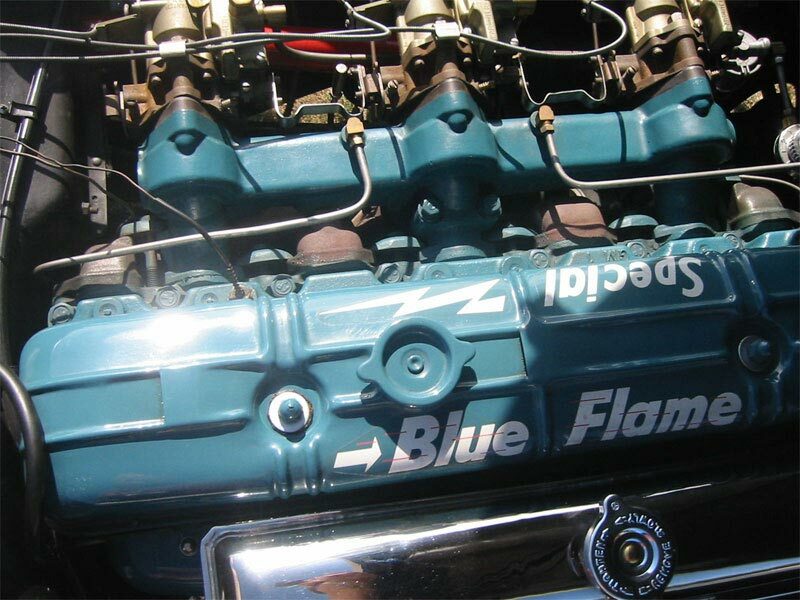 When introduced in 1953, the Corvette featured the "Blue Flame" six cylinder engine. This is not as the Chevrolet engineering team wanted things, but they had no choice. Although other GM marques featured V8 motors they were not willing to share; a very different situation compared to years later when various divisions would feature the same powerplants. It was renowned for reliability but with a rating of 105 HP, performance and sportiness was not included. The engineering staff responded with the usual engine upgrade methods. A more radical camshaft rubbing on solid lifters, dual valve springs, and a higher compression ratio cylinder head (8.0:1; previous was 7.5:1) all contributed to the effort. The largest gain was achieved via an upgrade to the induction system (right). 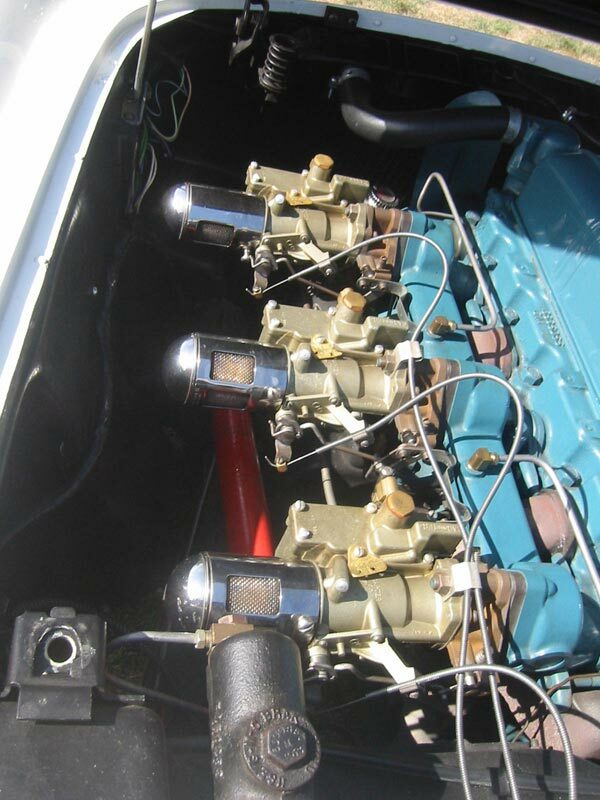 Three Carter type YH sidedraft carburetors featuring "bullet" air cleaners with an aluminum manifold were incorporated and the output soared to 150 bhp at 4,500 RPM.